The new class is used as a polemic term by critics of countries that followed the Soviet type of communism to describe the privileged ruling class of bureaucrats and Communist Party functionaries which arose in these states. 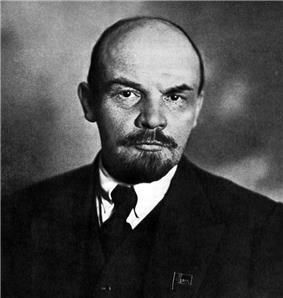 Generally, the group known in the Soviet Union as the Nomenklatura conforms to the theory of the new class. Earlier the term was applied to other emerging strata of the society. Milovan Đilas' New Class theory was also used extensively by anti-communist commentators in the West in their criticism of the Communist states during the Cold War. The term Red bourgeoisie is a pejorative synonym for the term new class, crafted by leftist critics and movements (like the 1968 student demonstrations in Belgrade). A theory of the new class was developed by Milovan Đilas the Vice President of the Federal People's Republic of Yugoslavia under Josip Broz Tito, who participated with Tito in the Yugoslav People's Liberation War, but was later purged by him as Đilas began to advocate democratic and egalitarian ideals (which he believed were more in line with the way socialism and communism should look like). However, there were also personal antagonisms between the two men, and Tito felt Đilas undermined his leadership. 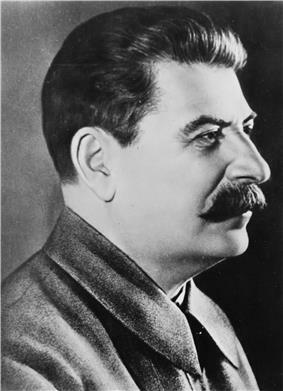 The theory of the new class can be considered to oppose the theories of certain ruling Communists, such as Joseph Stalin, who argued that their revolutions and/or social reforms would result in the extinction of any ruling class as such. It was Đilas' observation as a member of a Communist government that Party members stepped into the role of ruling class – a problem which he believed should be corrected through revolution. Đilas' completed his primary work on his new class theory in the mid-1950s. While Đilas was in prison, it was published in 1957 in the West under the title The New Class: An Analysis of the Communist System. 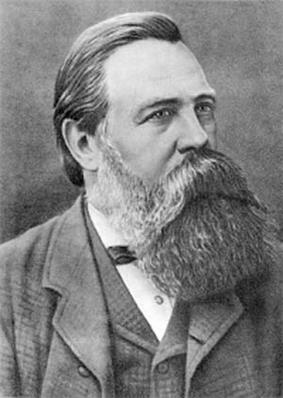 Đilas claimed that the new class' specific relationship to the means of production was one of collective political control, and that the new class' property form was political control. Thus for Đilas the new class not only seeks expanded material reproduction to politically justify its existence to the working class, but it also seeks expanded reproduction of political control as a form of property in itself. This can be compared to the capitalist who seeks expanded value through increased sharemarket values, even though the sharemarket itself does not necessarily reflect an increase in the value of commodities produced. Đilas uses this argument about property forms to indicate why the new class sought parades, marches and spectacles despite this activity lowering the levels of material productivity. Đilas proposed that the new class only slowly came to self-consciousness of itself as a class. On arriving at a full self-consciousness the initial project undertaken would be massive industrialisation in order to cement the external security of the new class' rule against foreign or alternative ruling classes. In Đilas' schema this approximated the 1930s and 1940s in the Soviet Union. As the new class suborns all other interests to its own security during this period, it freely executes and purges its own members in order to achieve its major goal of security as a ruling class. After security has been achieved, the new class pursues a policy of moderation towards its own members, effectively granting material rewards and freedom of thought and action within the new class – so long as this freedom is not used to undermine the rule of the new class. Đilas identified this period as the period of Khrushchev's government in the Soviet Union. Due to the emergence of conflicts of policy within the new class, the potential for palace coups, or populist revolutions is possible (as experienced in Poland and Hungary respectively). Finally Đilas predicted a period of economic decline, as the political future of the new class was consolidated around a staid programme of corruption and self-interest at the expense of other social classes. This can be interpreted as a prediction of the Leonid Brezhnev so-called era of stagnation by Đilas. 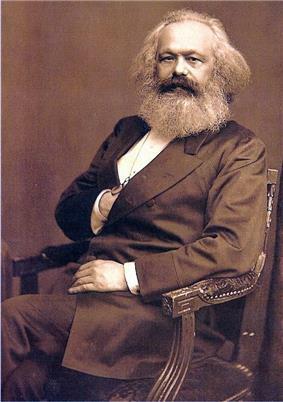 While Đilas claimed that the new class was a social class with a distinct relationship to the means of production, he did not claim that this new class was associated with a self-sustaining mode of production. This claim, within Marxist theory, argues that the Soviet-style societies must eventually either collapse backwards towards capitalism, or experience a social revolution towards real socialism. This can be seen as a prediction of the downfall of the Soviet Union. Robert Kaplan's 1993 book Balkan Ghosts: A Journey through history also contains a discussion with Đilas, who used his model to anticipate many of the events that subsequently came to pass in the former Yugoslavia. Of course, the specific notions of Đilas are his own development, however the idea that bureaucrats in a typical Marxist–Leninist style state become a new class is not his original idea. Mikhail Bakunin had made this point in his International Workingmen's Association debates with Marx in the mid-to-late 19th century. This idea was repeated after the Russian revolution by anarchists like Kropotkin and Makhno, as well as some communists. 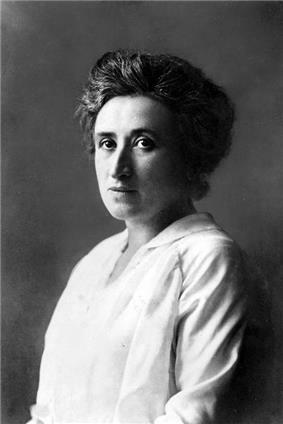 In 1911 Robert Michels first proposed the Iron law of oligarchy, which described the development of bureaucratic hierarchies in supposedly egalitarian and democratic socialist parties. 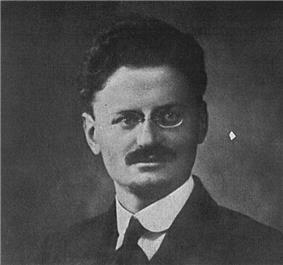 It was later repeated by a leader of the Russian Revolution, Leon Trotsky through his theory of degenerated workers state. 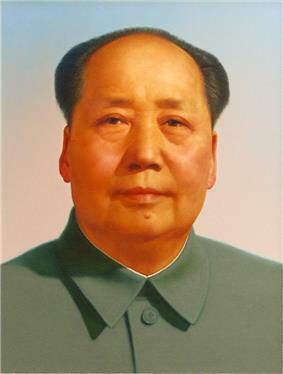 Further on, Mao Zedong also had his own version of this idea developed during the Socialist Education Movement to criticize the Communist Party of China under Liu Shaoqi. Of course, this wide range of people over the decades had different perspectives on the matter, but there was also a degree of core agreement on this idea. From the other side of the fence, the work of Friedrich Hayek also anticipated many of Đilas' New Class criticisms, without placing them in a Marxist context (see esp. The Road to Serfdom). American neoconservatives adapted New Class analysis in their theory of the managerial state. Karl Popper's criticisms of utopian social pursuits in The Open Society and Its Enemies are markedly similar to Đilas' views, which were nonetheless developed independently (see note 6 to Chapter 18 of The Open Society and Its Enemies and related text). Canadian-American liberal economist John Kenneth Galbraith also wrote about a similar phenomenon under Capitalism, the emergence of a technocratic layer in The New Industrial State and The Affluent Society. The "New Class" model, as a theory of new social groups in post-industrial societies, gained ascendency during the 1970s as social and political scientists noted how "New Class" groups were shaped by post-material orientations in their pursuit of political and social goals (Bruce-Briggs, B. The New Class? New Brunswick, NJ: Transaction. 1979). New Class themes "no longer have a direct relationship to the imperatives of economic security" (Inglehart, Ronald. 'The Silent Revolution in Europe: the intergenerational change in post-industrial society'. American Political Science Review. 65. 1971:991-1017). ^ Erik van Ree (October 28, 2002). The Political Thought of Joseph Stalin: A Study in Twentieth Century Revolutionary Patriotism (hardcover) (1st ed.). Routledge. p. 138. ^ Erik van Ree (October 28, 2002). The Political Thought of Joseph Stalin: A Study in Twentieth Century Revolutionary Patriotism (hardcover) (1st ed.). Routledge. p. 141. Đilas, Milovan (1969). The Unperfect Society: Beyond the New Class. trans. Dorian Cooke. New York: Harcourt, Brace & World.
. See also the NY Times Books feature with Chapter One online, and also the May 10, 1998 NY Times book review. Leon Trotsky's famous work considers the alleged betrayal and corruption of the Russian Revolution by Stalin and the new bureaucratic ruling caste. Sawer, Marian (ed.) (1978). Socialism and the New Class: Towards the Analysis of Structural Inequality Within Socialist Societies. Bedford Park, Australia: Australasian Political Studies Association. A meta-list of relevant publications. Related to Barbrook, Richard (2006). The Class of the New (paperback ed.). London: OpenMute. Gouldner, Alvin Ward (1979). The Future of Intellectuals and the Rise of the New Class: A Frame of Reference, Theses, Conjectures, Arguments, and an Historical Perspective on the Role of Intellectuals and Intelligentsia in the International Class Contest of the Modern Era. New York: Seabury Press. Kellner, Hansfried; and Frank W. Heuberger (eds.) (1992). Hidden Technocrats: The New Class and New Capitalism. New Brunswick: Transaction Publishers. Budrys, Grace (1997). When Doctors Join Unions. Ithaca: ILR Press/Cornell University Press. Registan (October 1/06) - The "New Class": The Rise and Fall of NGOs in Central Asia. Quotes extensively from a presentation by Laurence Jarvik to the Central Eurasian Studies Society, held the University of Michigan. Founding editor Nathan Hamm was a Peace Corps volunteer in Uzbekistan. Mutualist.org - Liberalism & Social Control: The New Class' Will to Power. Most New Class criticism comes explicitly from either the Left or the Right. Rarely does one seem to come from both at once.